EHALE works to improve maternal, newborn and child health infrastructure, and increase awareness among community leaders, women and men on the importance of delivering in health facilities. 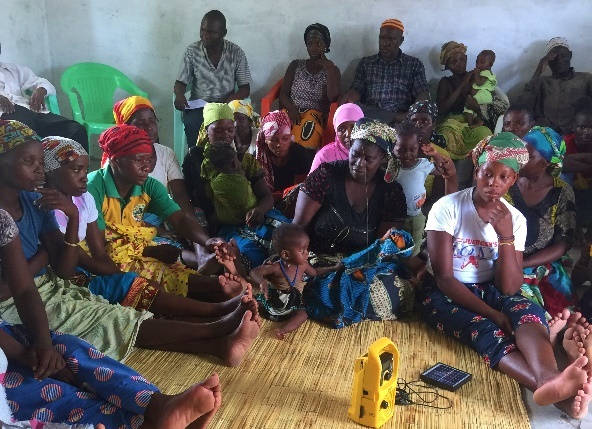 Women, men, female youth and male youth participated in 1,872 education sessions on antenatal care, postnatal care, the importance of institutionalized births, family planning, nutrition, malaria, acute respiratory infection, and diarrhea prevention. In addition, community-based workers carried out 34,408 home visits. The project has also distributed solar suitcases, which enable health providers to deliver babies safely during nighttime.